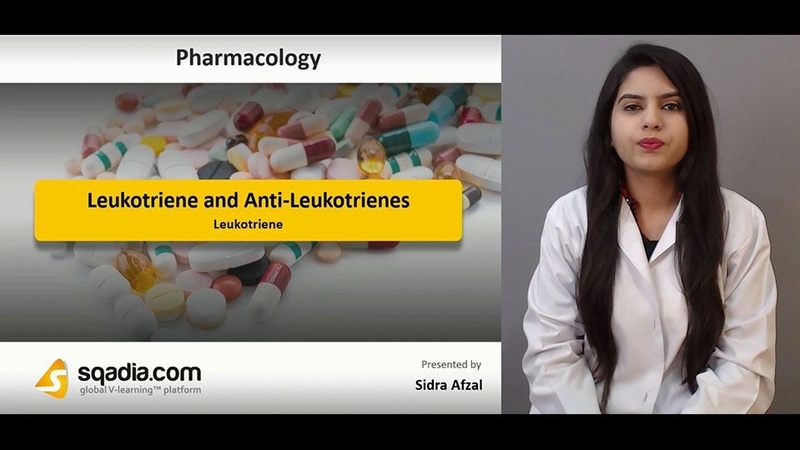 This sqadia lecture of pharmacology course is focused on Leukotrienes. Leukotrienes are potent lipid mediators formed from arachidonic acid through multiple enzymatic steps. The initial step in the synthesis of leukotrienes is the cleavage of an arachidonoyl ester bond of a glycerophospholipid through the action of a PLA2 in a hydrolysis reaction that yields lysophospholipid and free arachidonic acid. Cysteinyl leukotrienes receptors have been mainly divided into two classes. CysLT 1 is sensitive to the classical antagonists and CysLT 2 mediates several effects that are not inhibited by the classical antagonists. LTB4 have no broncho-constrictive or hyperresponsive qualities in humans. Inflammatory properties of CysLTs indicate that they possess chemoattractant properties. LTB4 is a potent chemoattractant for neutrophils, eosinophils. 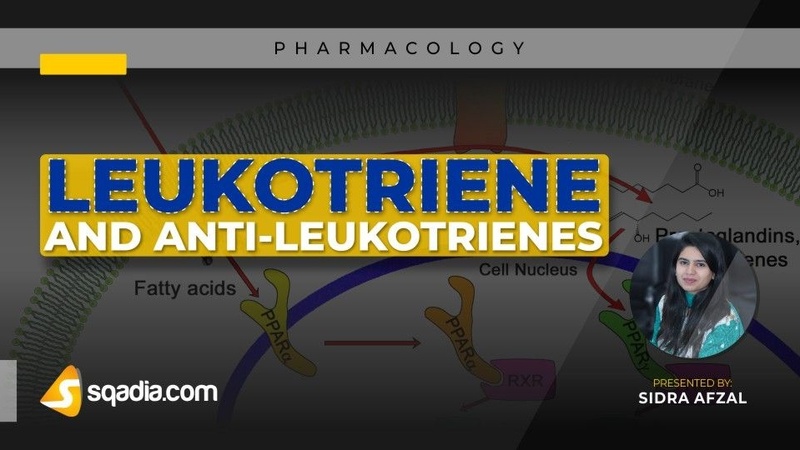 Once leukocytes reach the inflamed tissues, their survival and activation are enhanced by leukotrienes. Through B leukotriene receptor 1 (BLT1), leukotriene B4 (LTB4) primarily mediates the recruitment of mast cells, neutrophils, monocytes or macrophages, and T cells. through type 1 cysteinyl leukotriene receptor (cyslt1), cysteinyl leukotrienes, including leukotriene D4 (LTD4), promote the recruitment of eosinophils, dendritic cells, and T cells. 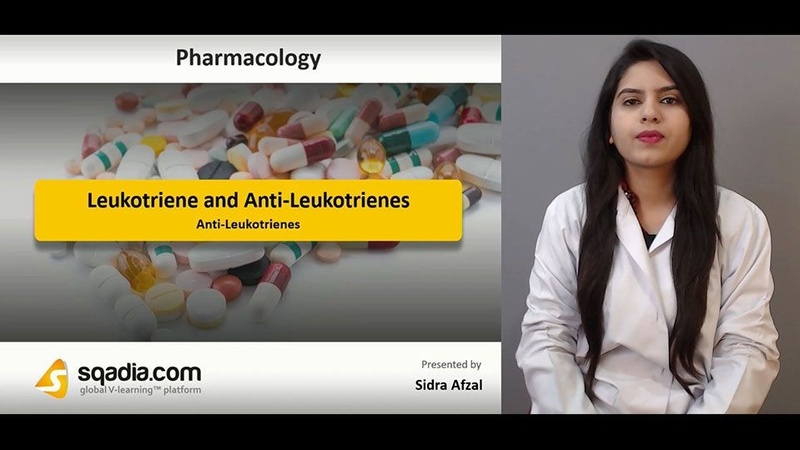 Anti-leukotrienes are classified mainly into inhibitors of the 5-LO enzyme and antagonism of CysLT1 receptor. Anti-leukotrienes work by blocking a chemical reaction that can lead to inflammation in the airways. 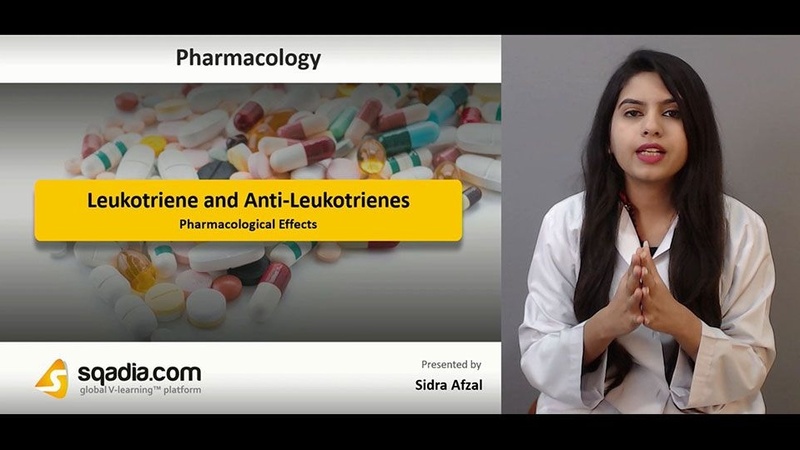 The difference between LTRAs and 5-LO Inhibitors is also discussed in this sqadia lecture by Sidra Afzal. 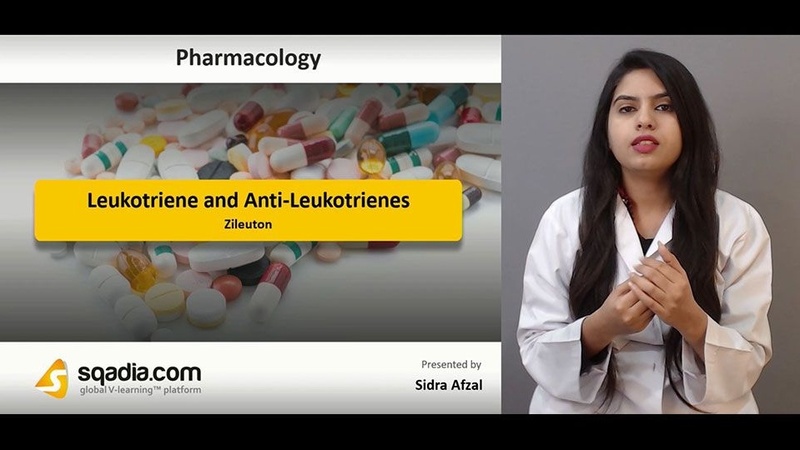 She tells the students that LTRAs inhibit the activity of CysLTs at CysLT1 only while 5-LO inhibitors block the production and all downstream activity of both LTB4 and CysLTs. Montelukast works by blocking certain natural substances that may cause or worsen asthma and allergies. It helps make breathing easier by reducing swelling in the airways. Zafirlukast is indicated for prophylaxis and chronic treatment of asthma in adults and children 5 years of age and older. 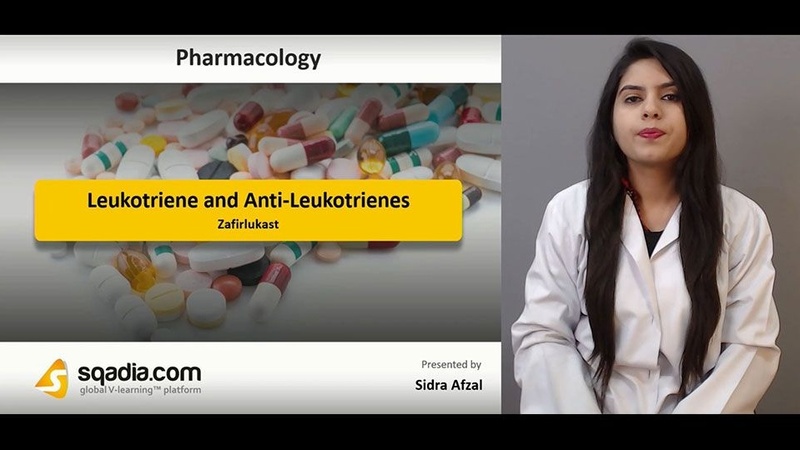 Zafirlukast blocks the action of the cysteinyl leukotrienes on the CysLT1 receptors, thus reducing constriction of the airways, build-up of mucus in the lungs and inflammation of the breathing passages. Its adverse effects include hepatotoxicity, systemic eosinophilia, depression, and Churg-Strauss syndrome. Zileuton is used to treat prophylaxis and chronic treatment of asthma in adults and children >12 years. It works by stopping the formation of certain natural substances that cause swelling, tightening, and mucus production in the airways. It is metabolised by CYP1A2, CYP2C9 and CYP3A4. Adverse effect involves sinusitis, pharyngo-laryngeal pain, hepatotoxicity, and behaviour changes. It is administered with food. The dose of zileuton is 600 mg extended-release twice daily, max 2400 mg.